The AVI 9445 is a 4G-LTE and Wi-Fi Modem Router providing single Wi-Fi and multiple 10/100 Ethernet connectivity with a single 4G-LTE MIMO WAN uplink. The AVI 9445 is capable of 4G-LTE download speeds of up to 100 Mbps and upload speeds of up to 50 Mbps. 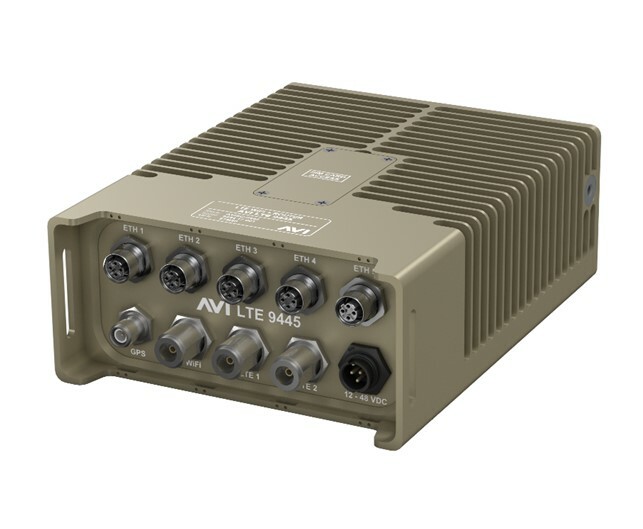 In the event of loss of 4G-LTE, the AVI 9445 can support data on DC-HSPA+, HSPA+, EDGE, GPRS and GSM to maintain WAN connectivity. Please Contact Us for a quotation for the AVI 9445 for your organisation or to discuss tailoring this product to suit your needs.